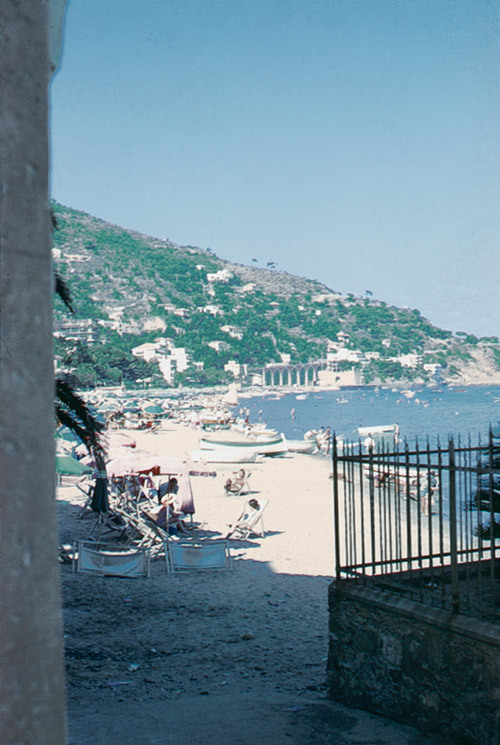 Motherwell and Frankenthaler rent a villa in Alassio, Italy. Inspired by the locale, Motherwell creates the first works in the Summertime in Italy series and begins the eighteen-foot-wide painting The Voyage: Ten Years After (P222), which incorporates the pouring and staining techniques used by Frankenthaler. Motherwell purchases the house he shared with Betty Little in Provincetown.